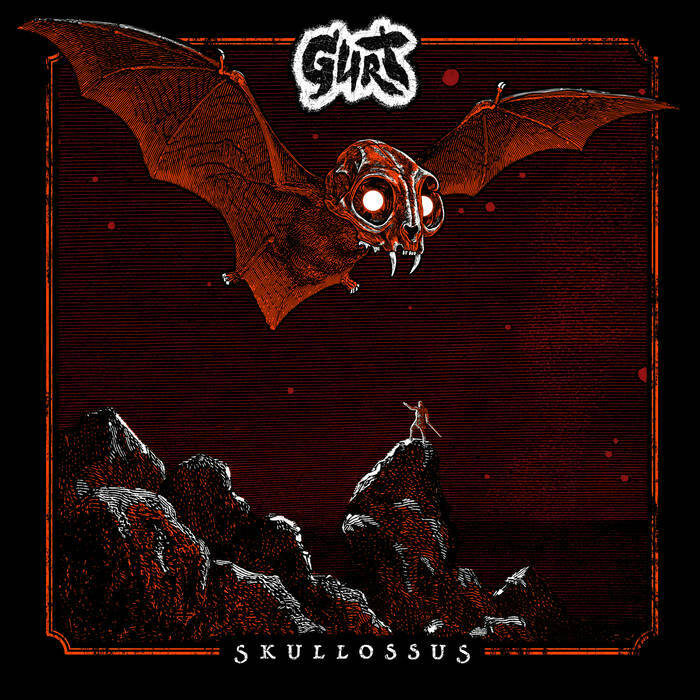 This is the second album from UK sludge metal band Gurt. This is heavy sludge metal, full of crushing groove and caustic vocals. Influenced by the Eyehategod school of thuggery, (but not limited to it), Skullossus is 40 minutes of romping sludge belligerence. With plenty of beefy riffs and distorted weight, the band proceed to drive a steamroller over everything with their blunt assault. Crawling punk and dirty doom influences can be heard in the band’s material, as well as a few nuanced elements that help provide a bit of depth to some parts of the songs. These latter little touches, although few and far between, show that Gurt have some good ideas of their own hidden among the low and gritty distortion. The vocalist seems to know what he’s doing and can scream with the best of them. He does have some additional tricks up his sleeve too, rather than purely screaming all of the time. This is music that sounds like it will truly come to life when played live. I imagine it’s hard to stay still when the band are in full flow and the thick, chainsaw riffs are attacking you. I enjoy a bit of sludge metal, especially when a band inject their own personality into such a tried and tested formula; Gurt do this well. A recommended listen. Fans of Raging Speedhorn and Iron Monkey should check this out. This entry was posted in Doom and tagged Doom, Eyehategod, Gurt, Iron Monkey, Metal, Punk, Raging Speedhorn, Sludge, Sludge metal. Bookmark the permalink.